A referee must be USSF Certified for the current year (JAN-DEC, renewals usually start in July). A referee must be at HIS/HER ASSIGNED FIELD OF PLAY 15 minutes prior to the game start to check in the players and check fields and goals safety ($ 5.00 deduction if a referee is late). That means 30 minutes prior to kickoff at Boggs Field for all Rec/GHSL/Competitive. 50% deduction of payout if the referee comes after game times. must wear referee uniforms Yellow, Red, Green, Blue or Black Referee Shirt, Black shorts, referee socks, and black shoes. White or colored shoes will not be allowed. All Games must be officiated even if there is a forfeit or short players of either team. The referee will not get paid if he/she walks away from the game. Make sure you received the name of your local assignor during the entry-level course. If you didn’t, contact your instructor for the course and ask how you find out who the assignor is in your area. 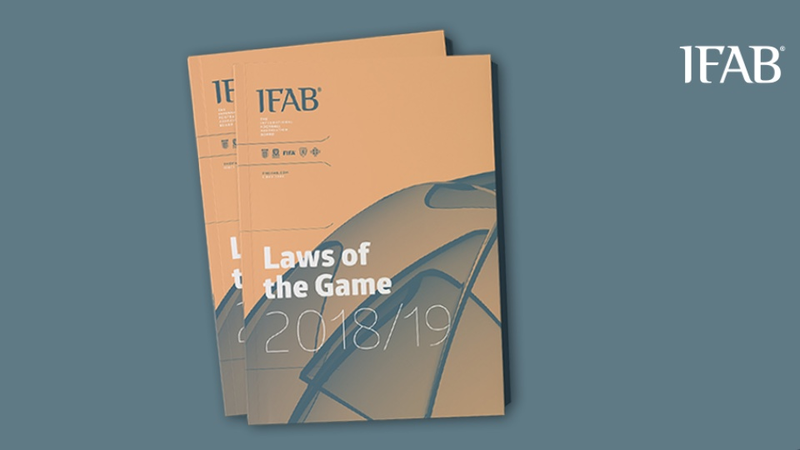 Know the generally accepted mechanics approved by the USSF and found in the Guide to Procedures for Referees, Assistant Referees, and 4th Officials. You should have received this booklet in your entry-level course. Dress for success – wear the proper USSF uniform with your referee jersey tucked in and your socks pulled up. Taking charge does not mean yelling and acting like a dictator (which is an abuse of power). You may need your 16 digit USSF identification number for tournaments. You will find this number on the ID card you receive in the mail or print yourself after you have taken the course and registered. You will get a new card each year, but the number will always be the same. If you need your ID number before you receive your card, please contact your area referee administrator or your SRA. If they don’t have it, then you may contact U.S. Soccer. Water – don’t forget to bring water. If you don’t drive, make sure you have made arrangements for someone to pick you up to take you home. Nets should be securely fastened to the goal posts and nets pulled back so as not to interfere with the goalkeeper. Goal posts must be securely anchored to the ground. Sandbags on the frame towards the rear are acceptable. Posts don’t have to be in the ground, but they must be anchored. The entire field is properly lined. Home team players/coaches should be checked first but it’s not a requirement. You should start with the team that appears to be most ready for inspection. Player’s shirts are to be tucked in. Check-in players and coaches as per the requirements and the Rules of Competition for that league. Pay close attention to the referee during the pre-game conference. If you don’t understand something the referee is saying, ask for clarification. Stay even with the second-to-last defender (remember – the goalkeeper is usually the last defender, but not always); this positions you to make accurate offside decisions. Follow the ball all the way to the goal line so you’ll be in a position to see if the ball completely (even just barely) crosses the goal line. Following the ball to the goal line each time is an excellent habit to get into. When you’re running a line, side-step so you stay square to the field as much as possible. This position allows you to continue to see the field and the players. When you need to sprint to the goal line to follow play or the ball, then you will run in a normal sprint, while watching the field. Run to the corner flag, or close to it, when signaling for a goal kick or corner kick. Raising your flag yards away from the corner flag or goal line not only calls attention to the fact that you not in the correct position to make that decision, but also carries with it the idea that you are either lazy, or you don’t care enough about the game to be in the proper position to make the call. Assist the referee in making sure the throw-in is being taken from the correct spot by pointing with your free hand to where the player should be standing when taking the throw-in. Be proactive, don’t wait for the player to make a mistake, help them get it right. Be aware of your position on the field. It’s tough enough to properly call a soccer match when you are on top of the play. It’s impossible to make correct decisions when you stay close to or within the center circle. Even when officiating at the small-sided game level, get in the habit of being in the proper position and working hard. Always think about your positioning – you should know why you are where you are. What do you gain by being in this position? Blow clear and sharp whistles. Learn how to make your whistle “talk” for you. Use the whistle to communicate control. Too many newly certified referees make a call with barely an audible “tweet” which tells everyone on the field that you are unsure of yourself. On your first call, give the whistle a firm blast and confidently point in the direction of the play. A firm whistle will eliminate 50 percent of the arguments. Vary the strength of your whistle depending on the infraction – for a serious foul, blow the whistle very loudly. Run the diagonal system of control when you have ARs assigned with you. The most accepted diagonal system is from the right corner to the left corner – referees refer to this as a “left diagonal”. At halftime and after the game, review all the results (number of cards, scores for each team and any incident that occurred, as well as the information required to be reported by that particular league) so your game report is accurate. Show them where the team and the coaches will be seated. Make sure they understand that they must stay in that area. Don’t let the coaches intimidate you. Remain calm. If someone is hollering at you, don’t yell back at them. Speak respectfully and quietly, so the coach must quiet down to hear you. However, once the coach steps over the boundaries of the game and begins to make his comments personal or abusive, you must deal with it. Slowly and calmly walk over to the coach. In a polite and respectful way, inform the coach that this type of conduct is unsporting and continuing with this type of conduct will result in his or her removal from the game. If the behavior continues – respectfully and professionally ask the coach to leave. If the coach refuses to leave, give the coach a warning that if he or she does not leave, you will end the game. If the coach does not leave in a reasonable amount of time (approximately 30 – 60 seconds), end the game. Be sure to file a very detailed report with the league so there is a good understanding of why the game was ended early. Make your presence known from the moment you walk on the field – that way players know you are in charge. Stand tall, look people in the eye and smile confidently. Have your pre-game questions down – introduce yourself even if you have worked games with the same coaches before, solicit copies of the rosters, get the game ball from the home team and check it out, check in players. (Do not tell players how you are going to call the game and what you are going to call and not call. This can cause you major problems in the game.) Doing these game management things confidently will carry over into the game. If you have a difficult player dissenting or doing something else to disrupt the game, at a stoppage of play, issue a caution to them and let the player know that kind of behavior is unacceptable. If the player still insists on being difficult, use a well-delivered warning to let them know that you have just about reached the limit of what you are going to take. It is often helpful to let the coach know this particular player is wearing out their welcome and the team may soon be playing short. Give the coach a short period of time (approximately 30 – 60 seconds) to correct the situation. If the bad behavior continues, issue a second caution and then a send off (red card). Remember that the proper procedure for this is to display the second yellow card and then the red. The more games you do the more comfortable and confident you’ll be. If something occurs in a game and you aren’t sure if you made the correct decision, go back to the Laws of the Game, Q & A and Advice to Referees after the game and double check. Go slow in advancing to more difficult matches – don’t rush it, but also challenge yourself to keep growing as a referee by taking more challenging assignments once you have reached a comfort level where you are currently being assigned. Attend seminars, workshops, and clinics. Referees must register each year with U.S. Soccer through their State Referee Administrator. The governing documents of U.S. Soccer state that a referee must be registered for the current year to referee games affiliated with U.S. Soccer directly or indirectly. The Referee Administrative Handbook tells you what you need to do to re-certify. If you don’t know when or where to re-certify for the upcoming year, contact your State Referee Administrator (SRA), State Youth Referee Administrator (SYRA) or State Director of Instruction (SDI) in the fall or winter, before the beginning of the next year. If you miss a year of registration, you can register once again by taking a re-certification course and passing the test, however you cannot register until after January 1 of the year for which you are registered. All referees affiliated with FIFA have a designated referee grade. The grade indicates the qualification of the referee to officiate at various levels of local, national and international soccer competition. There is a common misconception that these grades are related to elementary or secondary school grades – they’re not, they are assigned by USSF. Grade 3 and 4 Referees: In the United States competition at the national level (including professional soccer and MLS) requires Grade 3 or 4. Grade 3 indicates the referee’s readiness to be considered for international service. Grade 5 and 6 Referees: The highest level of competition within a state (amateur leagues beyond youth) requires a Grade 5 or 6 where Grade 5 indicates the referee’s readiness to be considered for national service. As referees advance to higher grades they are required to demonstrate their continued qualification for their grade through “maintenance” assessments and sustained high-level competition experience. Each referee at Grade 7 or higher is also required to successfully pass a physical fitness field examination which includes distance, agility and speed tests (as set out in the Referee Administrative handbook). The results of this testing are recorded to fulfill part of the annual registration / re-certification qualifications. In rare circumstances referees who fail to maintain their qualifications are “ downgraded” and this is reflected on their next registration. Certification & Re-certification - FSR (Florida Soccer Referees) and FL Soccer SRC Inc. Effective July 2018 - FL Soccer SRC Inc has decided to build their new website from scratch. FSR's new online home www.flsrc.org. This is where you go to become a referee, to complete your annual in-service re-certification requirement, register to take a course, find and download soccer related materials. For those who want to become referees: Hollywood Wildcats ask their assignor for referees to be a minimum of 13 years of age before they are assigned any games at Boggs Field. You may certify as a new referee at age 12, but you might not have any games until you turn 13. For special exceptions please contact tom@hollywoodwildcats.com. Yellow, Red, Green, Blue or Black Referee Shirt, Black shorts, referee socks, and black shoes. White or colored shoes will not be allowed. All Games must be officiated even if there is a forfeit or short players of either team. The referee will not get paid if he or she walks away from the game.